Artificial intelligence optimizes green electricity usage, e-mobility and grid stabilization! The shared goal of the collaboration between ProCom and XCharge is to use wind and solar power for driving at low-cost rates while supporting the power grid. Learn more about the synergies the two partners unleash by coupling the energy and transportation sectors. At E-world energy & water (Hall 3, Stand 440) the companies are presenting their innovations for tomorrow’s mobility. 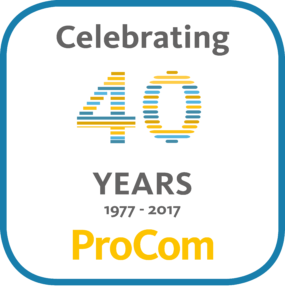 ProCom GmbH is a successful family business with a clearly defined growth and internationalization strategy. In the energy sector, ProCom provides consultancy on key issues in energy production and trading. Drawing on process and IT expertise, ProCom consultants support the successful implementation of strategic projects all the way to the operational phase. IT solutions from ProCom ensure optimum marketing of energy portfolios in all timescales and markets. As a development specialist in cutting and separating processes, ProCom Automation has over 40 years’ experience in developing sophisticated CNC software and hardware and CAM solutions for machine series. The company invests in the European and Chinese markets, both in its established, expandable product range as well as in future-oriented services in Industry 4.0.